Do You Know What Lions Do? The Phelps Lions Club is actively involved in free vision screenings for children from the age of 6 months through high school. The purpose of Vision Screener is to detect vision disorders early (vision screening). Vision disorders can cause permanent loss of vision in one eye (amblyopia) if they are not detected and treated within the first years of life. 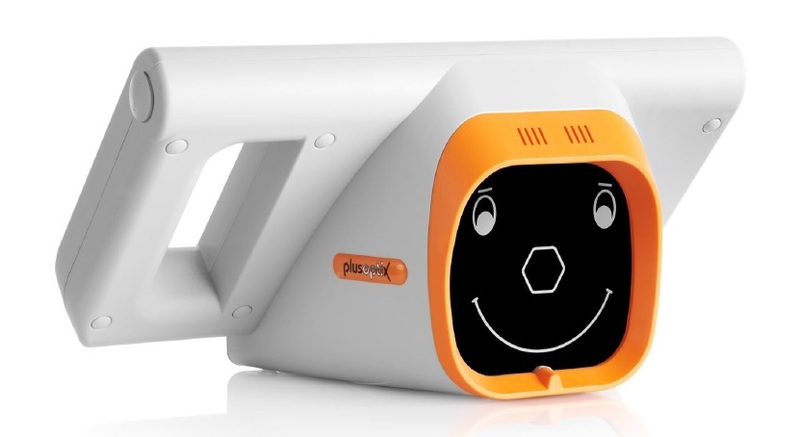 To detect vision disorders, the Vision Screener plusoptiX S9 & S12 measures sphere, cylinder, axis, gaze and pupil size of both eyes simultaneously. Based on these readings spherical equivalent, gaze symmetry and inter pupillary distance are calculated. Patients who should see an eye care professional are identified by comparing these measurement values to age dependent referral criteria. These patients show „refer" as vision screening result automatically.